Awareness and understanding of a patient’s sexual orientation is important to provide holistic care. I can understand incorporating this question into data collection forms, such as new patient registrations, but GP consultations are often limited to ten minutes and there is little time for discussion unrelated to the presenting issue. It may also be inappropriate to ask all patients this question. Ultimately, it should be the individual clinician’s decision whether to ask about sexual orientation, if they deem it appropriate to the patient’s care needs. We’ve got the Equality Act 2010, we’ve had several studies from LGBT charity Stonewall highlighting homophobia across the NHS, and in 2016 the British Medical Association published a shocking report into the homophobia and discrimination experienced by lesbian, gay and bisexual NHS doctors. Stonewall found that many LGBT people aren’t open with healthcare professionals for fear of discrimination. NHS England should be doing more to tackle homophobia rather than just issuing blanket directives to ask all patients about their sexual orientation. If NHS England wants to record this data so it can evaluate how many people of different sexual orientations are using the NHS, and ensure appropriate resources are allocated, then I see no issue with asking people this question. But people are becoming increasingly suspicious of sharing personal data, and rightly so. 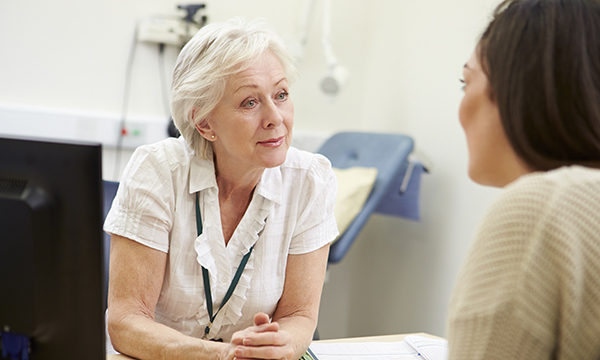 As with any other piece of sensitive information, the key is the way the question is asked, and the reasons for asking it must be clearly communicated to patients. Why do we need this information? Is it to improve healthcare services for the LGBT community? Not all patients will feel comfortable disclosing their sexual orientation. Without knowing what data will be collected and how this will be stored or used, I do not see the benefit of asking all patients this question. Other key things that need to be considered are what training will be given to staff asking these questions, which healthcare professionals will be doing it and in what setting.